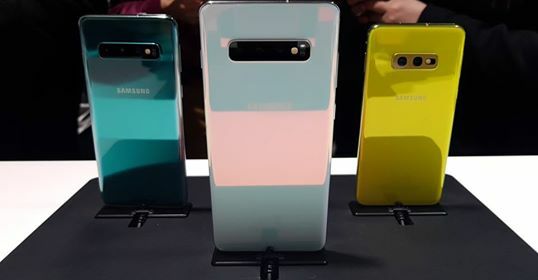 The Samsung Galaxy S10 was one of the first devices to receive a ‘day one’ update that brought some improvements in its ultrasonic fingerprint scanner, among other things. The device shipped with the February Android security patch and today, it’s receiving an update that bumps it up to the March security patch. The update also brings forth several optimizations for the camera, Wireless Powershare and more. Wireless Powershare allows you to use your Galaxy S10 to wirelessly charge other devices such as a smartwatch, wireless earphones and even a smartphone. It is a tad redundant to charge one smartphone using another, but the feature may come in handy for juicing up your wearables when you don’t have access to a charger. We don’t know about the specifics of the improvements, but it is reasonable to assume that they’ll be related to reducing power losses while the power transfer is in process. The camera gets some unnamed improvements too. So far, there have been no complaints about the Galaxy S10’s camera, so the improvements are most likely minor behind-the-scenes QoL upgrades. The new update comes with software version G970FXXU1ASC8, G973FXXU1ASC8 and G975FXXU1ASC8 for the S10e, S10 and S10+ respectively. It is rolling out in some European markets at the moment, including Germany and the United Kingdom and should hit all global units in the coming week. You can check your S10 for the update from the Settings » Software update menu by tapping Download updates manually. Alternatively, you can even use Samsung Smart Switch and sideload the update to your device via a PC/Mac. iPAD PROS ARE BENDING!? Another Bendgate From Apple! ?